Online fundraising firm Kimbia has been acquired by GiveGab which also focuses on giving days, peer-to-peer fundraising and events. Kimbia has been shopped for at least a year after a software glitch caused significant donation delays during Give Local America, a 24-hour crowdfunding event in May 2016. The terms of the deal, in which GiveGab acquired “substantially all assets” of Kimbia, were not disclosed. 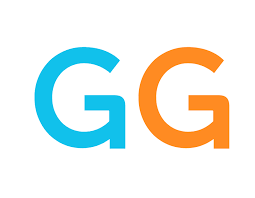 Charlie Mulligan, CEO and co-founder of GiveGab in Ithaca, N.Y., said “all technology, all data transferred forward.” Mulligan said it was a purchase but declined further comment on the details. Talks between the firms started this past August, said Mulligan. Potential suitors for Austin, Texas-based Kimbia began contacting GiveGab to see if it was available, he said. “Pretty much every potential acquirer would reach out to us. Does GiveGab want to sell? We don’t,” said Mulligan. The Giving Days accounts for now will stay on the Kimbia platform and migration will start during the fall. The Kimbia platform will remain in Austin for now but in new space. The combined headcount is 43, with GiveGab previously having 24, Mulligan said. “That’s what made it compelling for us. Kimbia has been doing this for 10 years. They have done it longer than we have,” he said. GiveGab was launched in 2013. The lead investor of GiveGab is the Cayuga Venture Fund. The firm launched with the help of a local business incubator called Rev: Ithaca Startup Works, which involves Cornell University, Ithaca College, and Tompkins-Cortland Community. The president of Cornell is on GiveGab’s board. GiveGab was founded by two Cornell University graduates. Navidar Holdco LLC represented Kimbia in the deal. As for the glitch Kimbia sustained in 2016, “It seems really stable now. We looked under the hood of what they do and what we do,” said Mulligan. Kimbia’s platform helps support more than 25,000 organizations. A hardware issue caused significant donation delays during Give Local America, a 24-hour crowdfunding event. Kimbia removed the affected hardware from service and reduced leaderboard functionality to focus solely on the ability to serve donation forms during the event. The problem led to Kimbia refunding hundreds of thousands of dollars in fees, making online fundraising technology free to participating nonprofits for the remainder of the year and diverting three months of then-president and CEO Daniel Gillett’s salary to Give Local America participants.